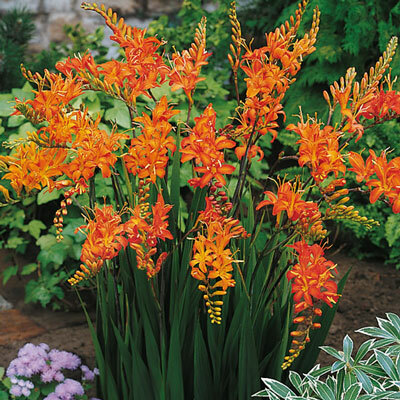 Large flowers ranging from pale orange to flaming orange-red. The name comes from the Greek language and means "saffron smell," which reportedly can be detected when dried flowers are submerged in water. 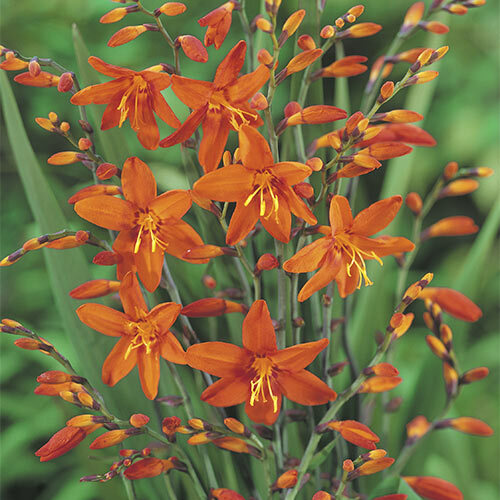 Brilliantly colored blooms, deep green leaves, blooming in July-August. Wiry stems make it ideal for cut flowers. Plant in full sun to part shade among your perennials. Non-demanding bulbs will come back each year. 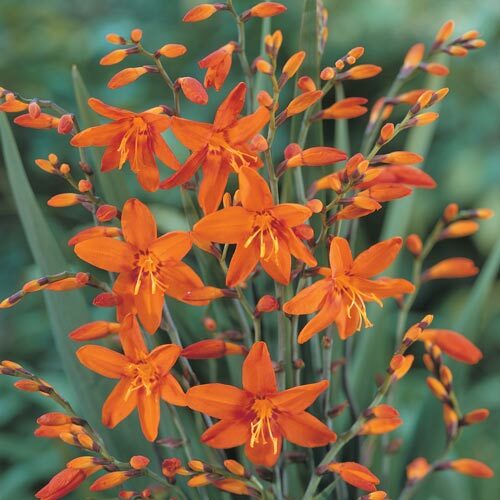 Cut back leaves and flower stems from below the soil level. Mulch thickly or lift in the fall if you life in zones 3-6 and store in a frost-free location over winter for areas. Replant the following spring after last frost.